Hi there! 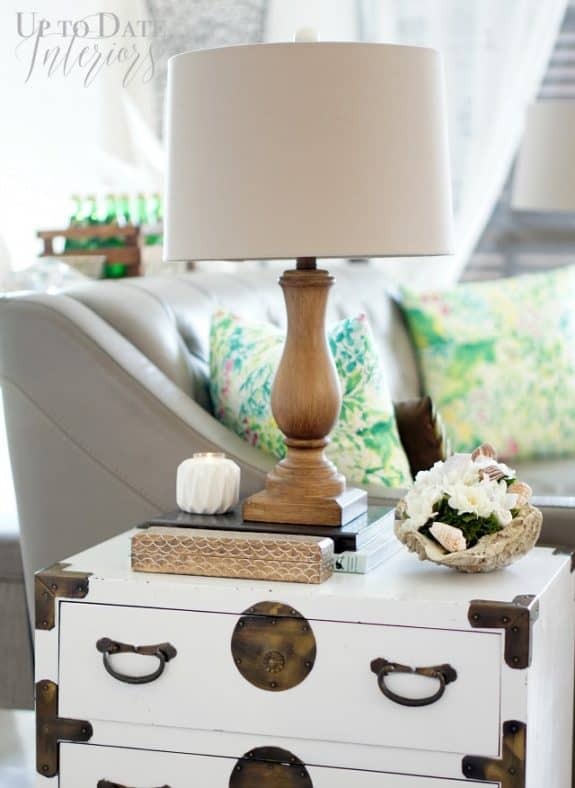 It’s Kathy from Up to Date Interiors and I’m back to share a quick and easy Summer DIY with you today. 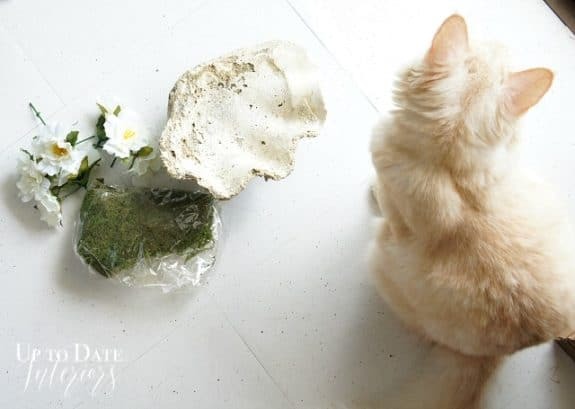 Last month I shared DIY napkin rings embellished with coral I picked up from our local beach. 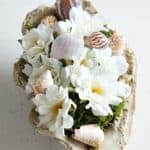 This time, I gathered more beach finds and went through my floral bin to put together a Summer Sea Shell Table Decor. 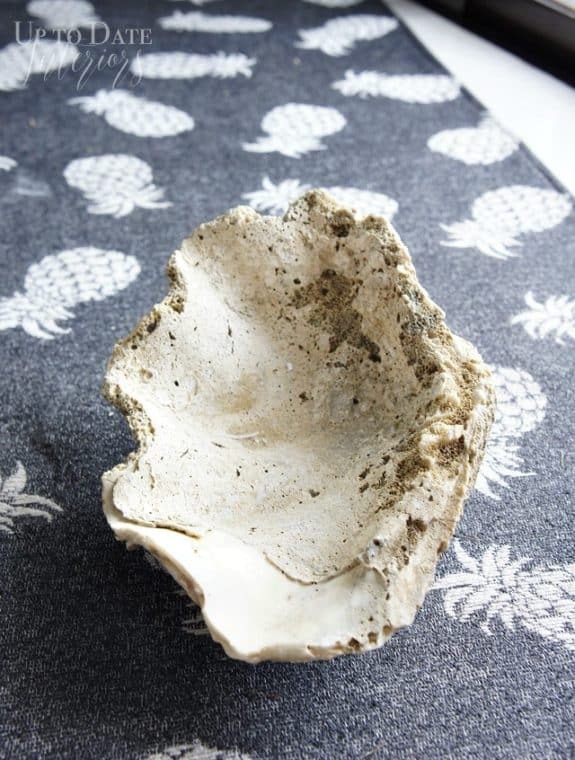 We found this shell shortly after we moved to Okinawa close to our house. Lucky! 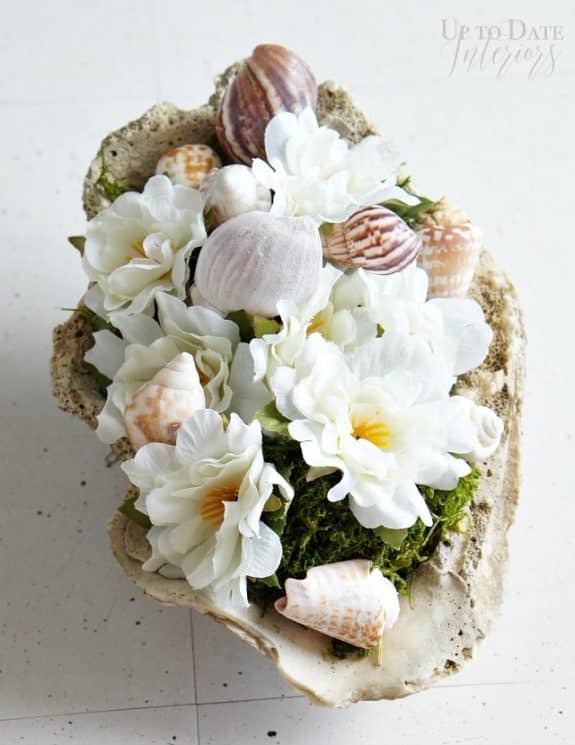 Fill the large shell with moss. 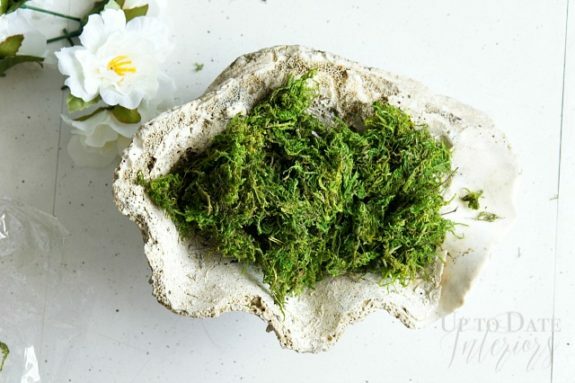 Trim the flower stems so they are 2-3 inches long (or longer is your container is deeper). 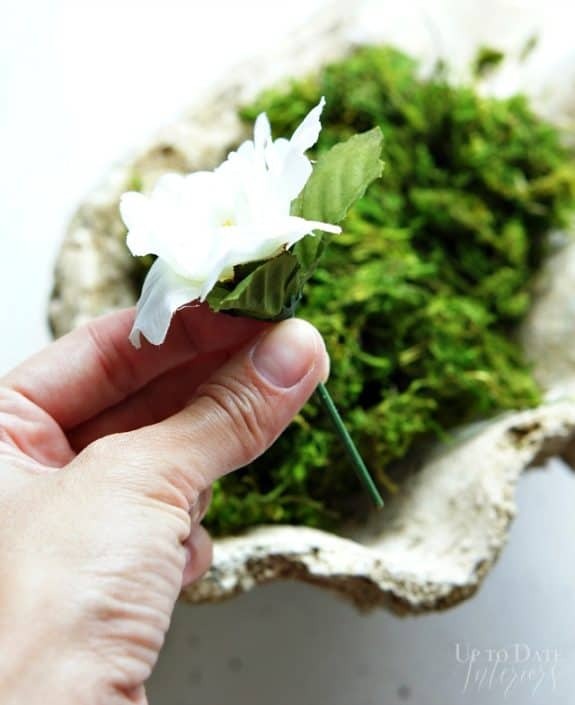 Stick them into the moss. 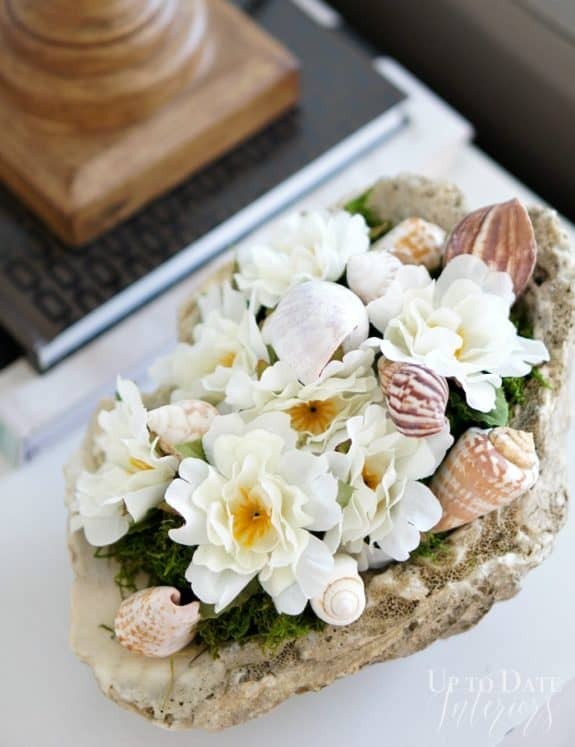 Add smaller sea shells (or coral) around the flowers. 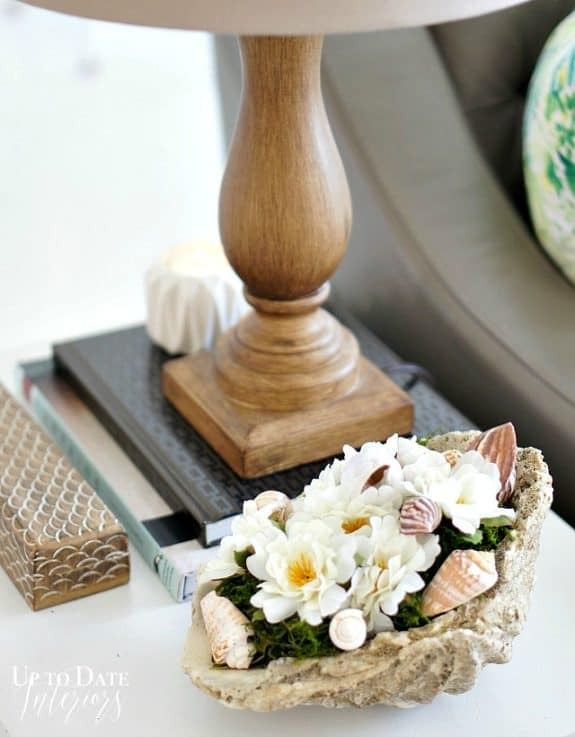 Place on a table for instant prettiness! I have a lot of green and white in our living area so this piece fit right in. 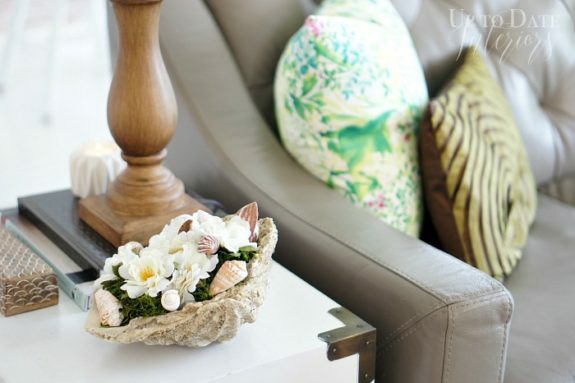 Looking for more something less nautical? 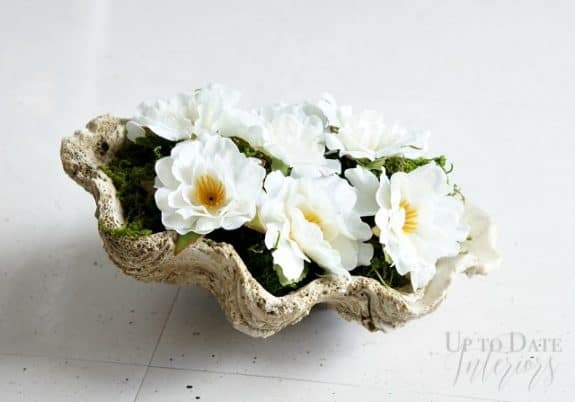 Check out DIY Beautiful Containers with dollar store items HERE. Thanks so much for hanging out with me today!